Sarah Bear Crafts: Autumn is Here! 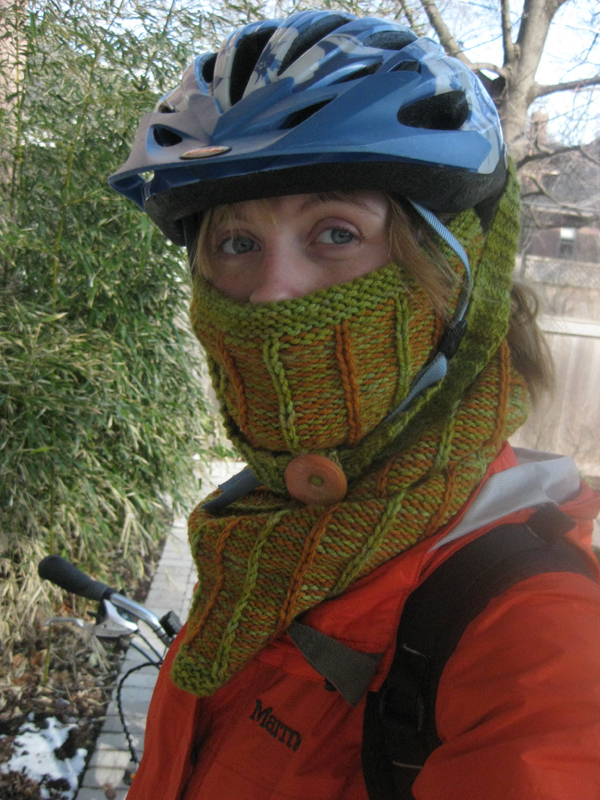 It's still warm enough to ride your bike outside, but with a little nip in the air, let's make sure you're still keeping yourself warm. With special straps that feed through the loops of your helmet, you can keep your face covered and your brain safe! It's a free download! 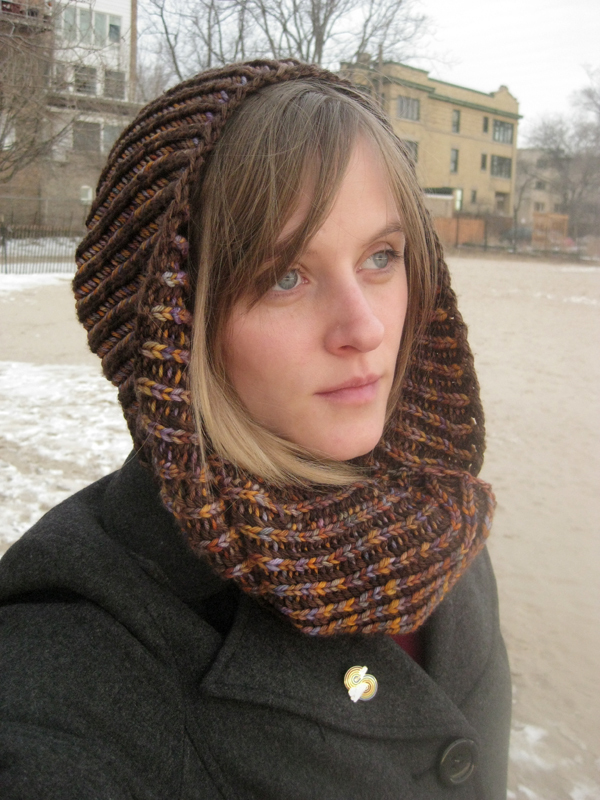 This hat is top-down and uses twisted stitches in place of cables. 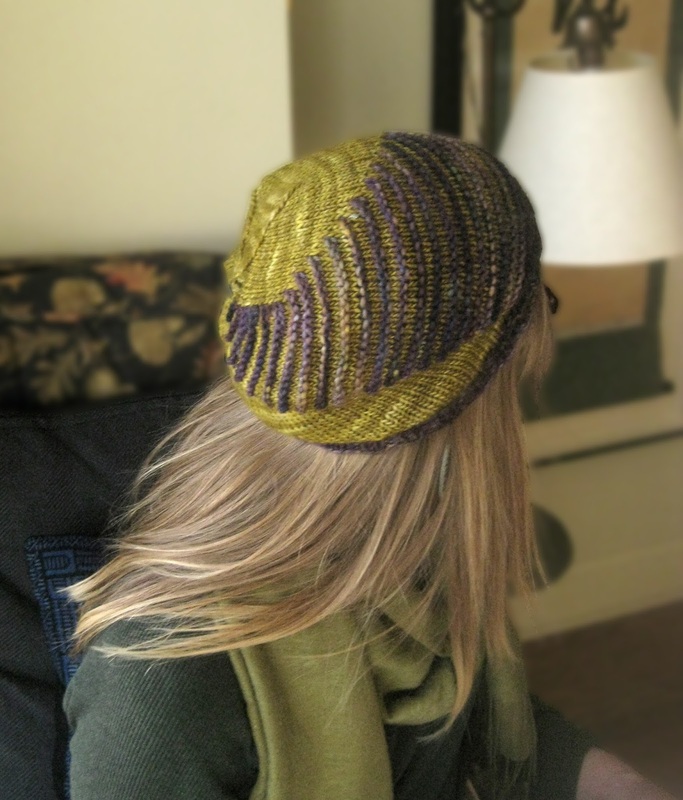 This is one of my favorite hats to wear--so soft, cozy, and a wicked-quick knit! 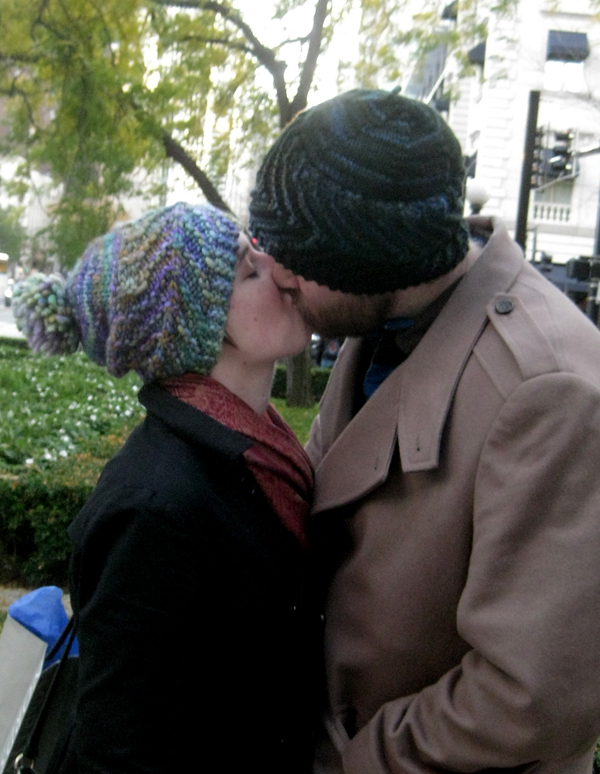 Just like the street, it starts in the round, and then it turns! 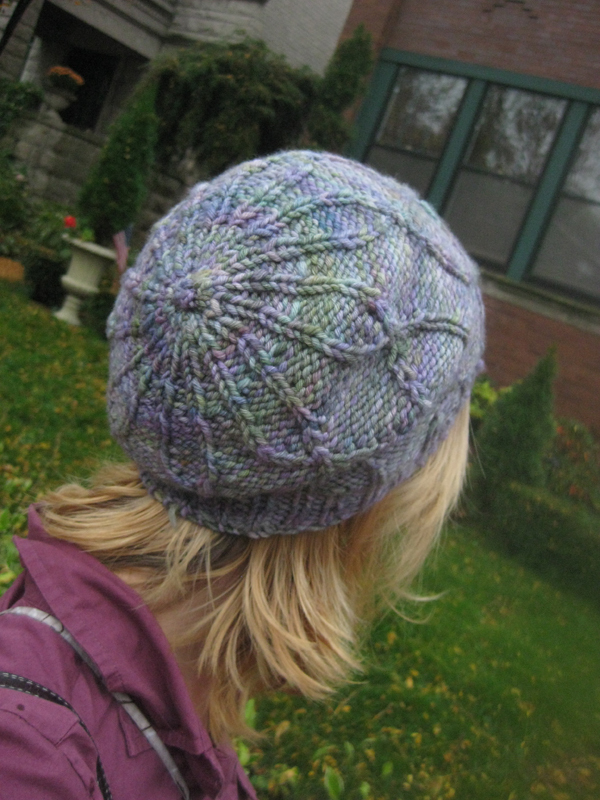 This is a multi-gauge hat that will get you noticed (especially by other knitters..."What did you do here?")! You'll find this super satisfying! This design was thought up while I was dancing to Black Bear Combo at the Chopin theater in Wicker Park, Chicago. It's fantastic for using up leftover bits of yarn, and feels so great on your head. The Condurat cowl, knit in brioche stitch (photo tutorial available in pattern), and intentionally twisted at the beginning, is a super cozy piece to keep you bundled up this winter! I hope these patterns prove useful! I'll continue to post more as the season continues!